Students as Questioners 6: What Do Historians Ask? One key way to encourage student questioning is to think about the questions that creative professionals in a discipline might ask. Every field moves forward when individuals ask questions. Helping students understand the questions in a field helps them envision how the creative processes of the discipline move forward. So, what about history? As a student, I spent years thinking of history as a seemingly unending series of facts to be memorized. If I thought about questions about history, I envisioned multiple choice! But there can be a better way. 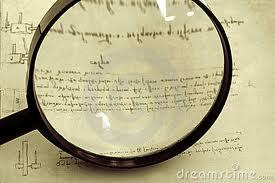 History is a series of glorious mysteries starting with the clues—primary sources. Examining primary sources leads to the questions, and occasionally even the answers, of history. Of course your first task, whatever grade level you are teaching, is to locate appropriate primary sources. In these days of electronic resources, almost anything is possible. You can find online collections of cookbooks, music, and virtually anything else you can envision. The Library of Congress has abundant resources for American History, and a bit of exploration will help you find reproductions of artifacts around the world. These are the clues. Even young children know what investigators do with clues—they examine them carefully and ask questions. What do you hypothesize (or infer)? Helping students understand the difference between observation and inference is basic to history, and to many other disciplines as well. 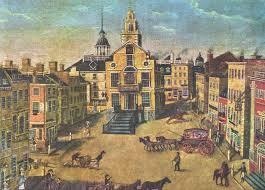 For example, take a look at this image of Colonial Boston. What do you see? What might you infer about life in the colony? You can observe images of buildings, men with hand tools, a ship, and carriages being pulled by horses. You might infer that land transportation was done mainly by horse, but that would be an inference. You’d need more investigation to confirm that hypothesis. And, of course, you can also start thinking about what the picture makes you wonder. For example, what were those big buildings made of? 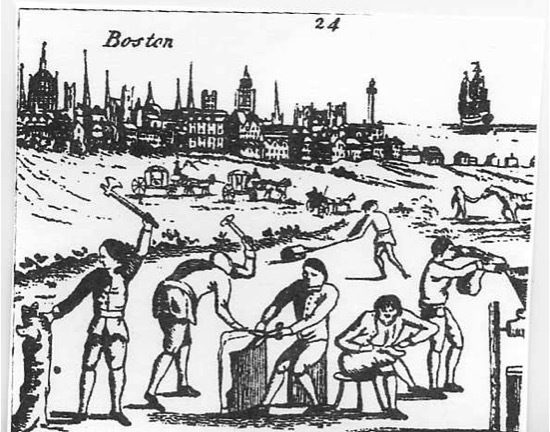 You might hunt for other pictures of Colonial Boston to investigate. Would this picture help? Are there patterns? Are the artifacts consistent? Clearly, considering all the strategies of historical research is a bigger task than we can manage here, but a few basic questions are a way to start. If students can think of history as detective work, it can come to life in new creative ways. Do you have a good strategy for bringing historical questions to life? We’d love to hear it. « Dinovember: Let’s Have Fun Again!